Preeclampsia (PE) is a severe complication that develops in 10% pregnant women. It is the leading cause of maternal and perinatal morbidity and mortality worldwide. The goal of this study was to reveal the frequency of polymorphisms in the angiotensin-converting enzyme gene (ACE I/D) and type 1 angiotensin II receptor gene (AGTR1 A1166C) in pregnant women with severe early-and late-onset PE. A retrospective case–control study of 55 pregnant women with PE (main group) and 30 patients with uncomplicated pregnancy (control group) was conducted. In the main group, we considered two subgroups–early-onset PE (20 patients) and late-onset PE (36 patients). The I/D polymorphism of the ACE gene is associated with the risk of developing PE. The presence of the D allele increases the risk of severe PE. In case of DD genotype, the probability of early-onset PE is 5 times higher than that of the late-onset PE. The analyzed data confirm the involvement of renin–angiotensin system in the PE development. We conclude that the ACE gene polymorphism is a genetic predictor of the early-onset severe PE. Studying the polymorphic loci of the ACE gene makes it possible to use them for the individualized prognosis of the development and course of PE in patients. 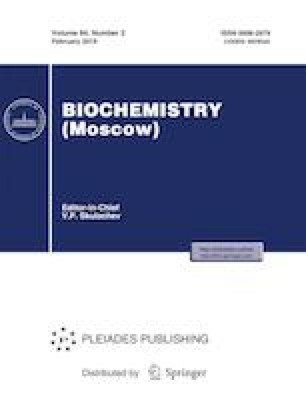 Russian Text © E. V. Timokhina, A. N. Strizhakov, I. V. Ignatko, V. S. Belousova, S. M. Ibragimova, 2019, published in Biokhimiya, 2019, Vol. 84, No. 2, pp. 281–287.